Feature your Cab on the Home Page! Re: Feature your Cab on the Home Page! 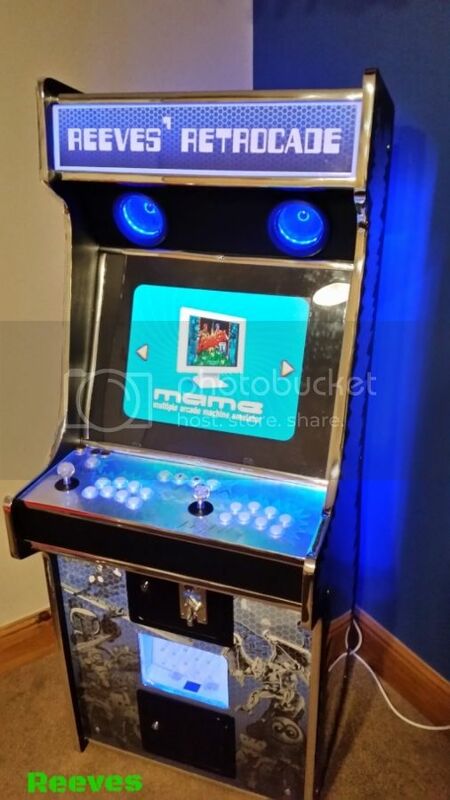 I will be updating the Member mame arcade slideshow on the home page this week. If you have a cabinet you want to show off, then post your pic here. Please read the directions on the 1st post. thanks! Photobucket finally added the abilty to embed slideshows. So it will be much easier to add member arcade cabinets. I finally got ColdDJ's cab in there. Speaking of Cold, I haven't seen him in a bit? I looked at the link. It is German site for hosting images. Please read this post on how to embed your pictures.